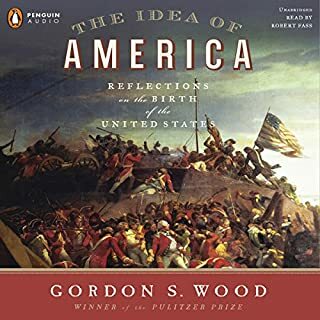 Grand in scope, rigorous in its arguments, and elegantly synthesizing 30 years of scholarship, Gordon S. Wood's Pulitzer Prize–winning book analyzes the social, political, and economic consequences of 1776. 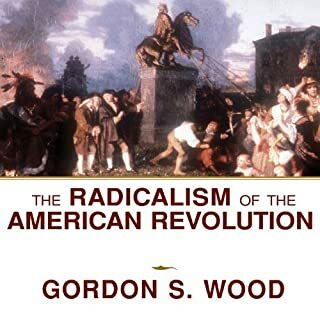 In The Radicalism of the American Revolution, Wood depicts not just a break with England, but the rejection of an entire way of life: of a society with feudal dependencies, a politics of patronage, and a world view in which people were divided between the nobility and "the Herd." On April 19, 1775, the American Revolution began at the Old North Bridge in Concord, Massachusetts. The "shot heard round the world" catapulted this sleepy New England town into the midst of revolutionary fervor, and Concord went on to become the intellectual capital of the new republic. 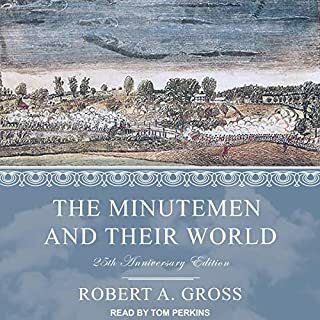 In The Minutemen and Their World, Robert Gross has written a remarkably subtle and detailed reconstruction of the lives and community of this special place, and a compelling interpretation of the American Revolution as a social movement. Thomas Jefferson and John Adams could scarcely have come from more different worlds or been more different in temperament. Jefferson, the optimist with enough faith in the innate goodness of his fellow man to be democracy's champion, was an aristocratic Southern slave owner while Adams, the overachiever from New England's rising middling classes, painfully aware he was no aristocrat, was a skeptic about popular rule and a defender of a more elitist view of government. Gordon Wood's wondrous accomplishment here is to bring these men and their times down to earth and within our reach, showing us just who they were and what drove them. In so doing, he shows us that although a lot has changed in two hundred years, to an amazing degree the virtues these founders defined for themselves are the virtues we aspire to still. This classic work explains the evolution of American political thought from the Declaration of Independence to the ratification of the Constitution. In so doing, it greatly illuminates the origins of the present American political system. 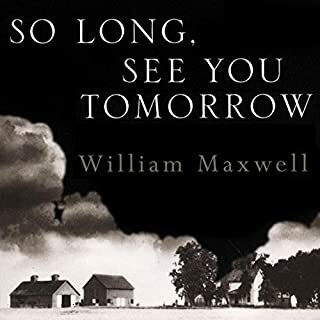 This Audible book is NOT for a popular audience! In John Adams: A Life, Ferling offers a compelling portrait of one of the giants of the Revolutionary era. Drawing on extensive research, Ferling depicts a reluctant revolutionary, a leader who was deeply troubled by the warfare that he helped to make, and a fiercely independent statesman. Bringing to life an exciting time, an age in which Adams played an important political and intellectual role. this book is a singular biography of the man who succeeded George Washington in the presidency and shepherded the fragile new nation through the most dangerous of times. Central to America's idea of itself is the character of Benjamin Franklin. We all know him, or think we do: In recent works and in our inherited conventional wisdom, he remains fixed in place as a genial polymath and self-improver who was so very American that he is known by us all as the first American. 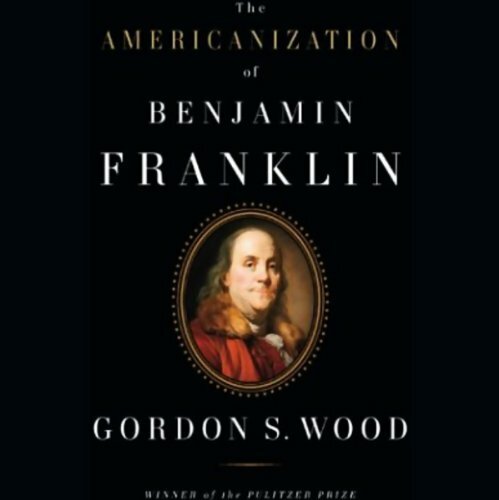 The problem with this beloved notion of Franklin's quintessential Americanness, Gordon Wood shows us in this marvelous, revelatory book, is that it's simply not true. And it blinds us to the no less admirable or important but far more interesting man Franklin really was and leaves us powerless to make sense of the most crucial events of his life. Indeed, thinking of Franklin as the last American would be less of a hindrance to understanding many crucial aspects of his life: his preoccupation with becoming a gentleman; his longtime loyalty to the Crown and burning ambition to be a player in the British Empire's power structure; the personal character of his conversion to revolutionary; his reasons for writing the Autobiography; his controversies with John and Samuel Adams and with Congress; his love of Europe and conflicted sense of national identity; the fact that his death was greeted by mass mourning in France and widely ignored in America. The Americanization of Benjamin Franklin is a landmark work, a magnificent fresh vision of Franklin's life and reputation, filled with profound insights into the Revolution and into the emergence of America's idea of itself. 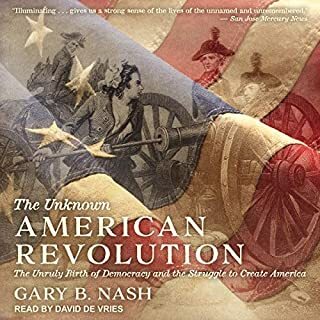 Where does The Americanization of Benjamin Franklin rank among all the audiobooks you’ve listened to so far? I've read and listened to this story and I really like it. It is well-titled but I hadn't really thought about the title when I started it. This book tells the story of Franklin transitioning from a proud Englishman to an independent American. He was such an interesting man, although not so wonderful perhaps in the husband/father category. Regardless, one should admire this pivotal figure in American history. What other book might you compare The Americanization of Benjamin Franklin to and why? It's very unique. Franklin had so many different interests and he influenced many different areas of his time period. He lived a long life and understood the value of print to promote his many ideas and beliefs. Have you listened to any of Peter Johnson’s other performances before? How does this one compare? Not that I can remember. It just made me understand more of the impact he had on the development of our nation. If I had to choose a favorite historian, it would be Gordon S. Wood. His scholarship is masterful, and he combines it with a lovely literary style that is very accessible to the general reader. This book on Benjamin Franklin - not a complete biography, but rather an exploration of how Franklin came to be the archetypal American - is a wonderful example. Read it to learn how Franklin's thinking about the British empire and and society, as well as the ancient aristocratic denigration of work, evolved into the uniquely American elevation of the "middling" classes that was readily apparent by the time of Alexis de Toqueville. 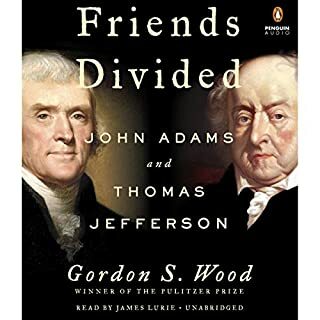 In far less space than the typical doorstop tome, Wood illuminates Franklin's long professional and intellectual trek to become the most "American" of the founders. Anyone who relies on their high school or college understanding of Franklin will profit from Wood's treatment of a man who was truly a lifelong learner, but one careful never to be too far out in front of what the traffic would bear. Insufficiently appreciated in his time, Franklin turns out to be every bit as much responsible for the success of American independence even if his vision of how to frame the Constitution of the new nation did not emerge as the orthodox view. A great listen. With this book, you will learn some interesting new things about Ben Franklin. He was driven by a desire to be in the gentleman class and he was very much a British loyalist. On the downside, the narration is atrocious. If you are an insomniac, this guy will put you to sleep fast! !